In addition, the University of Stellenbosch (second highest QS World Ranking amongst SA universities) is located just outside of the city’s boundaries. 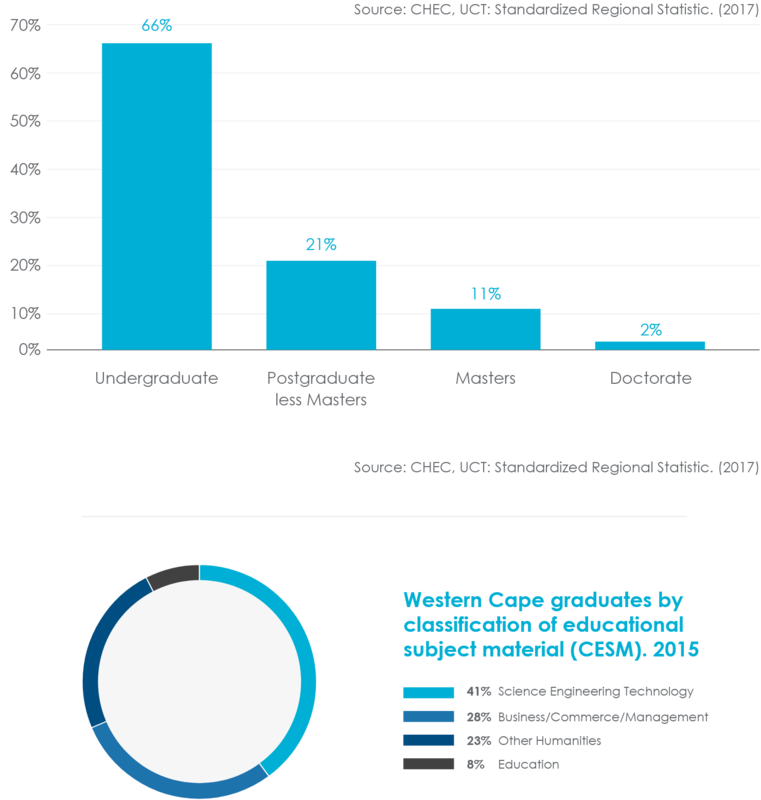 In 2015, approximately 49 886 students were enrolled in the 4 Western Cape universities in the Science, Engineering and Technology fields and 11 496 students graduated in the same field of study. Of the province’s graduates in 2015, 66% obtained undergraduate degrees, 21% completed postgraduate degrees, 11% completed Masters and 2% obtained Doctorates.